The key to being successful in the fishkeeping hobby is to maintain good water quality. Regardless of the livestock you would like to keep in your fish tank the best way to accomplish this is by performing frequent water changes. Small frequent water changes (10% of the total water volume per week) are the best thing that any fishkeeper can do. If you are not able to perform weekly water changes, then 15%-20% every other week would be recommended. Performing maintenance to your equipment is a great way to increase their life span. Aim to clean all the equipment at least once a month, especially if you are using external filters, skimmers, LED lights. What can we do for you? If you know that you won’t be able to perform the maintenance care that the fish tank would need, due to physical or time reasons. Let Fishkeeper Plus take care of your tank. I had a few issues with my aquarium before Fishkeeper Plus came. I had terrible hair algae problems, plants were not really growing and looked more yellow then green. After a few visits they made great improvement on the aquarium. Now they look after the aquarium permanently leaving me with the task of just looking at how nice it looks. Thank you guys for your great help and efforts. Looking forward to seeing you soon. My discus fish tank is my great passion but due to my busy work life I can’t look after the tank anymore. 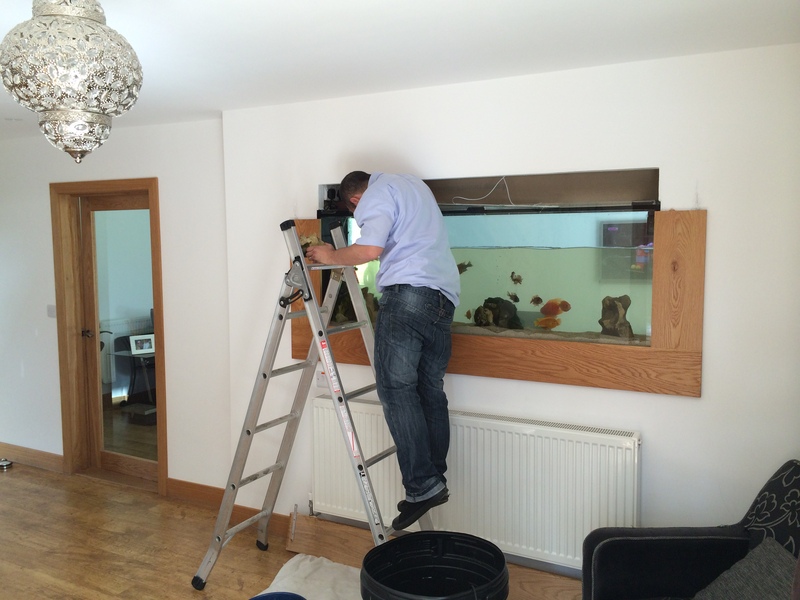 Fishkeeper Plus looks after the aquarium for me. They provide a very professional service. I now get to enjoy my discus after my busy days and I don’t have to worry about the water quality. Thanks again. Thanks for everything you've done to help us. We have been with Fishkeeper Plus since they started. We had problems with our marine tank and were ready to give up on the hobby. Now the tank is being maintained by these wonderful guys and is flourishing. During the time that they have looked after the tank they have also moved the aquarium to our new house. They did it all so smoothly and brought everything to make the move easy. We appreciate you guys so much, thank you for everything you have done to help us.